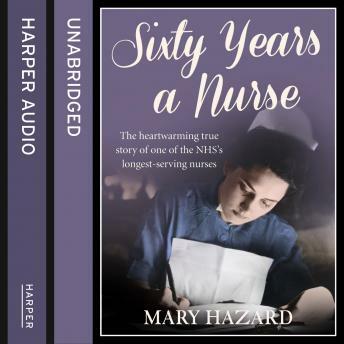 When 18-year-old Mary Hazard touched down in post-war Putney to begin her nurse's training, she could never have known that it was the beginning of a colourful career that would still be going 60 years later - one of the longest ever serving NHS nurses. For Mary, raised in a strict convent in rural south Ireland, working in her first London hospital was a shocking and life-changing experience. Against a backdrop of ongoing rationing and poverty, she saw for the first time the horrors of disease, the heart-breaking outcomes of failed abortions - and faced the genuine shock of seeing a man naked for the first time! 60 Years a Nurse follows the dramas and emotions as Mary found her feet during those early years. From the firm friends she made under the ever-watchful gaze of Matron and the sisters, to the eclectic mix of Londoners she strove to care for; the Teddy Boys she danced with and the freedom of living away from home; and her own burgeoning love story, as extraordinary as it was romantic - these are the funny and heartwarming moments that helped Mary to follow her dream.